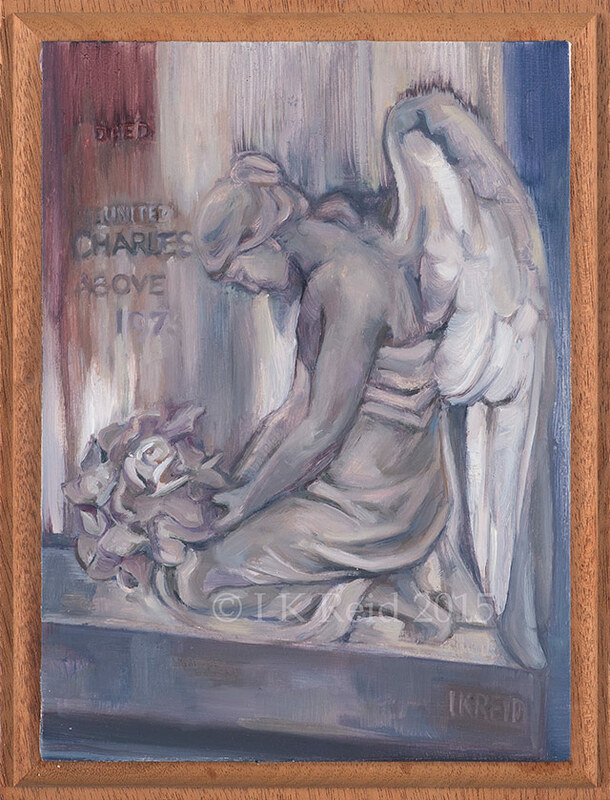 At the time I was painting angels from sculptures around Bristol, exploring the eternal in the monuments of craftsmen, the Hebdo massacre in Paris hit the news. I only emphasized certain words on this tomb, but I did not change them. The rust on the stonework I enhanced, and the background was cooled. It felt fitting.